What determines the price of an HB pencil, an audio tape, or a supersonic airliner? 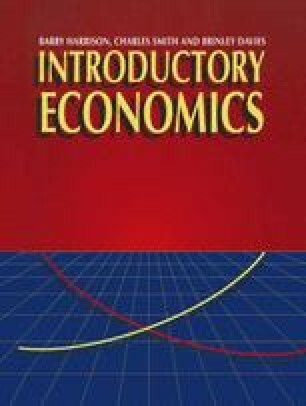 In Chapter 3 we begin to examine how economists study the phenomenon known as price. We also introduce the important economic concept of elasticity and thus provide the basic economic model which can be used to analyse how prices are determined by changes in supply and demand. The model will be used extensively throughout this book.